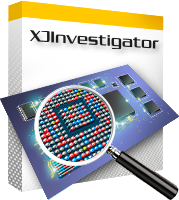 The XJTAG Development System is an established test suite with a range of software and hardware products that enable you to debug, test and program electronic circuits quickly and easily. The system works with devices that conform to the IEEE 1149.1 and 1149.6 boundary scan standards. 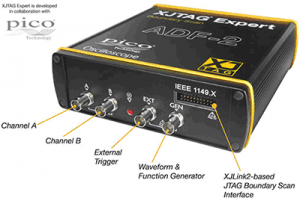 XJTAG is developed in Cambridge (UK) and it is supported worldwide, to enable developers and test engineers to unlock the potential of boundary scan. 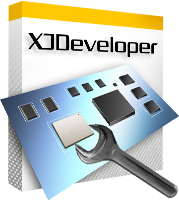 XJTAG can help you speed up the design and development process and improve your debug and testing throughout the whole product lifecycle. The simple drag-and-drop interface allows you to set up your JTAG chain and categorise all of the non-JTAG devices in your circuit easily. 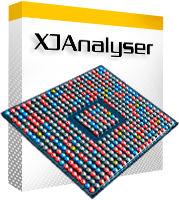 XJDeveloper includes built-in Layout Viewer,Schematic Viewer and DFT Analysis tools, along with Netlist Explorer to view connectivity between devices. 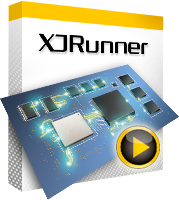 XJDeveloper can also be used to program both JTAG devices (e.g. CPLDs, FPGAs) and non-JTAG devices (e.g. EEPROMs, Flash). The PXI to JTAG hardware and software interface is composed of a high speed PXI to JTAG hardware module and the XJAPI.